I love physical fitness. It’s the reason why I became a physical educator. I am open-minded to all different types of exercises and workouts, with one exception… CrossFit. I’ve scoffed at CrossFit for years. From the outside looking in, I thought it was just a fad and cult-like. However, I decided to try it out for myself and experience it instead of judging. 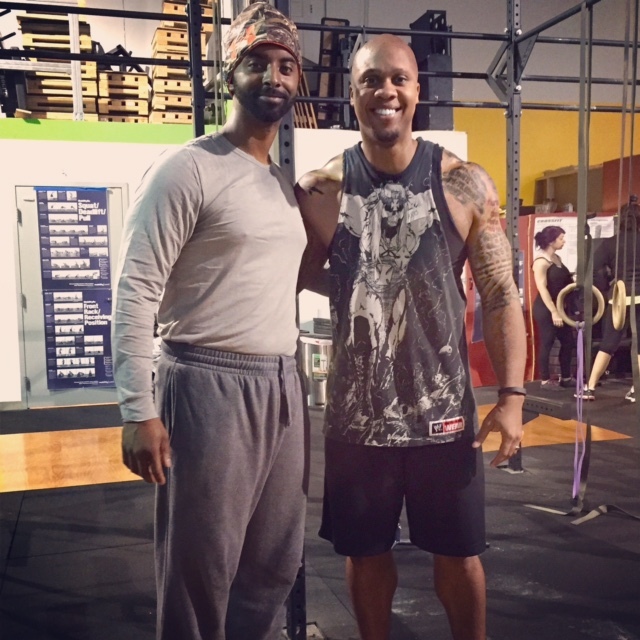 A high school buddy of mine, Dan, alerted me about a CrossFit gym minutes from my house. Not only close, but they offer free Saturday workouts. I arrived to the Vanguard gym for my class at 10. My first observation was the gym’s simplicity and no-nonsense. Nothing fancy, it’s just a gym with weights, equipment, and space. I loved it! I don’t need a gym with the glitz and glamour. The class was introductory, so I wouldn’t be doing the main CrossFit principle exercises, but I got a chance to see what’s ahead of me if I continue. Another bonus: CrossFit seems to focus heavily on squats and I adore that! Squats are such an important exercise (and too many people stay away from them). During the hour, Coach Blaze (awesome name) explained the program and exercise. I’m relatively comfortable with the exercises, so I picked them up quickly, but I thought she did a great job explaining the exercises for those with far less experience. As a teacher, I respected her method. A lot of people don’t understand the basics and if you don’t get those, you’ll be lost. The last workout we completed was my favorite. We did a reps of 10 squats, 10 situps, 10 push ups, and 10 supermans. Each time you finish, you write down your completed set and keep going. The goal is to do as many as you can. No doubt about it, at the end of the 10 minutes my body was fried. I love that feeling thogh. It makes me want to go back for more… much more. The biggest negatives with CrossFit is the price and commitment. It’s $140 per month and the contract is a year long. I hate the notion of being locked into anything for a year. Basically, I have some thinking to do. I know I’ll be back next week for another session and I will probably crack and sign up because I love to compete and with CrossFit, I will be pushed to my limit. 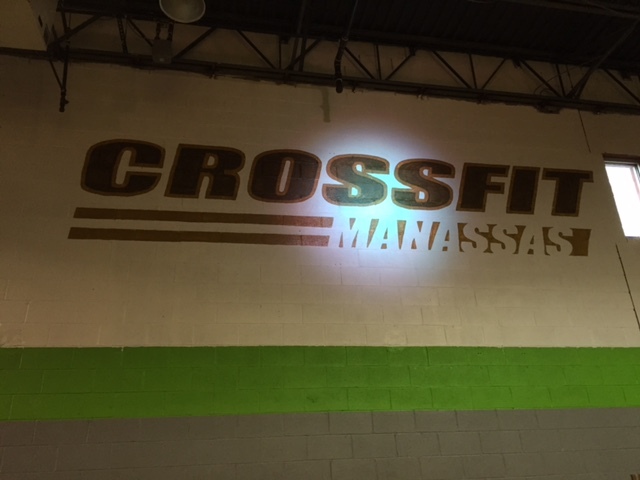 All in all, Crossfit Manassas was a great experience. I would recommend anyone to the Vanguard gym. They have an awesome owner, some great coaches, and cute dogs (yes, dogs!). I take back the criticism that I’ve directed at CrossFit over the years. Now that I’ve tried it out for myself, I realize how dumb I was. Wait a second. Dogs? Are they dog-friendly? If so, I may have to check this out. I’m pretty sure only the owner’s dogs are allowed to be in the building, but you should definitely ask if you’re interested in joining. I’m so glad you tried crossfit! I fell in love with crossfit and it indefinitely increased my mobility. How long have you been doing it, Justin?